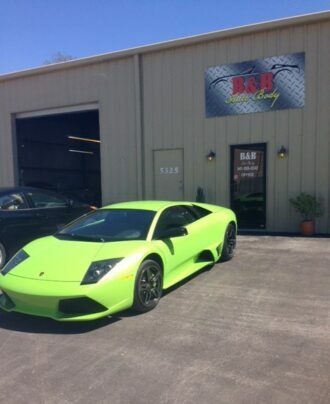 B & B Auto Body provides comprehensive collision repair and painting services in Sarasota, Florida. Whether you’ve got a small scratch in your paint, a broken windshield, or you’ve just been in a bad collision, we can get your car back in pristine shape. We offer comprehensive auto repair services to assist you getting back on the road, no matter how big or small the problem. Bring your car in and let us take a look at it and provide you with an honest quote. If you aren’t satisfied for any reason, let us know and we will work to make things right. B & B Auto Body is proud to have been chosen for CollisionFix.com Membership. Collision Fix is the consumer’s advocate for helping you get your vehicle to its safe pre-accident condition. They understand the battle consumers have with insurers that try to steer them to shops that use cheap, imitation, and even junkyard parts. Parts that don’t fit devalue your car and can make it unsafe. We are glad to have CollisionFix.com on our side to help us educate Sarasota consumers about these truths. B & B Auto Body welcomes CollisionFix.com!